Best known for his films, Dennis Hopper was also a brilliant artist, an incredible friend, and an irrepressible daredevil who rode a chopper and sometimes carried a gun. Caroline Graham on their 25-year friendship. At first we were an odd couple. Just friends. Dennis was recovering from a downturn in his life—wild drugs, hospital, and a nocturnal escape organized by Jack Nicholson. He had fled to Taos, New Mexico, to join his brother and artist friends Larry Bell and Ron Cooper, who photographed nudes. Dennis owned a beautiful church-like adobe building near the Taos Pueblo, where his brother lived. Dennis took me to Taos in 1984 to show me around. The English author D.H. Lawrence had once stayed there in a palatial house belonging to Mabel Dodge, Lawrence’s patron. This house had also once belonged to Dennis. There are stories of how crazy he was then, riding a chopper around town, with a gun slung on the back. His laugh was always loud, and the stories were told with lots of laughter. Dennis took me upstairs in this enormous Taos mansion and showed me the stained glass windows painted by Lawrence, who was also an artist and craftsman. He took me out to the famous cabin outside Taos where Lawrence had lived and worked with his wife, her friend, and a cow. The cabin in the woods was photographed by Dennis, the furniture—a desk and a chair—made by Lawrence. Lawrence is buried in these woods, and the famous risqué paintings, banned from England, are hanging in a hotel in town. Dennis was on assignment with me for Vanity Fair. He was so disobedient. My editorial job was impossible. The photographs were genius. That was how we began 25 years ago. As work dried up for Dennis the Actor, he turned back to the still camera. One day we set off for Pasadena to meet photographer Jack Woody. I knew Woody from Vanity Fair, where I was the West Coast editor. Woody looked with amazement at Dennis' black and white photographs of his artist friends of the ‘60s, stored in a cardboard box that we took out of the car. "Remarkable," Woody said, and the first Twelve Trees Press book by Hopper was on its way. Out of the Sixties was a huge hit. Dennis was an actor, a director, and now a serious photographer and author. He was also a daredevil and told me about how he blew himself up with sticks of dynamite in the middle of a field in Dallas. Once, en route to a film festival in Dallas where he was a guest, he took me to the spot. I remember the other assignment Ruth Ansel, then-art director of Vanity Fair, gave to Dennis: to photograph his own home, the Frank Gehry house in Venice, California. I went to view the work when it was done. A lot of laughter ensued; he had photographed nudes on the bed, in the clear bath and on the floor. Hardly Conde Nast material. Dennis then went to work seriously to get back into movies. He understood how hard it would be to change his image from bad boy to good boy on the set. Two years later, he did it. Blue Velvet was a hit. “Yes I remember..." he would say with a smile. In 2006 I had left Conde Nast and begun C4 Global Communications with my son, Charlie. Dennis rang. "I am doing a show at Ace Gallery. Will you handle the PR for me? I am hanging and selecting the show myself. It is photography, painting, video, billboards. A big collection of my work in this huge space." The space was enormous and the time he took to hang everything to perfection took weeks. At the Dennis Hopper Works opening, he was charming to all 3,000 guests, many of whom were friends, and the interviews he gave stunned the world. The press of the world came to meet him. His reviews were remarkable. Crowds came to the exhibit. Posters of the famous Andy Warhol photograph with a lily in his mouth were sold and signed. Doug Chrismas, owner of Ace Gallery, had realized what curators had missed. His art shows were thronged by actors and socialites in every city. Dennis was one of the great artists of his generation. Paris was the next stop for the Hopper show, in October 2008. Now enlarged to include 50 movies, it was a complete show of his works and personal collection of art made by many of his friends, Schnabel, Ruscha, Arnoldi, Basquiat, Salle, and so on. The Cinematheque Francaise had the genius idea to bring over this exhibit. They hung the artwork taken from Dennis’ Venice house on an entire floor, with videos of film clips. Each evening a Hopper film was shown, 50 classic American movies that delighted the French. President Nicolas Sarkozy and his wife Carla Bruni invited the Hopper family to lunch at the Elysee Palace, where Dennis was honored for his contribution to the arts. Arriving in Paris in early October for the press and opening night with Dennis and his family, I began to understand his global appeal and how he had won the hearts of the world with his films. He was mobbed. They begged him to ride the chopper that was in the window of the Frank Gehry-designed Cinematheque building. After two weeks of interviews in all languages, Dennis was showing signs of fatigue. He never did ride the chopper up the Champs-Elysees. He returned home to Venice, and the Cinematheque show went on for six months. Last summer it was shown in Australia with all the art work and films. In July, MOCA Los Angeles will present a big show of Dennis' work, curated by Julian Schnabel. Benedikt Taschen eventually published a large book of Dennis' photography; Dennis told me how great it was to work with him. Taschen raved about his work and how great an artist Dennis was. Tony Shafrazi, Dennis' art dealer, worked with Dennis to select the photographs and the book was launched at a big party in Rome in summer 2009, only a year ago. Sadly, Dennis was fighting cancer and bravely went back to film the TV show Crash in Albuquerque, New Mexico. I stood near Dennis and his family when he got his Star on the Hollywood Walk of Fame two months ago. He was happy, with his four children around him and Jack Nicholson behind his chair. Dennis laughed and spoke to his friends with such courage. Dennis had so many friends. Actors and artists were relaxed and happy with him. The bad boy, now a remarkably good man, dressed in Hugo Boss. The history of Easy Rider was glamorized, and the stories of the making of the movie were legendary. Even The Last Movie, which was filmed in Peru and not released by Universal, was finally shown. A respectable Dennis was in his element, always kind and giving time to others and answering questions. Often seen in a tweed cap, jacket, and trim shoes, Dennis had changed from the wild chopper gear with headscarf to man-about-town outfits. But I knew Dennis had not changed. Until his death, he was essentially always the wild man inside. This article has been updated to clarify that Benedikt Taschen was the publisher of the 2009 book of Hoppers' photography. The images in that book were selected by Hopper and his art dealer, Tony Shafrazi. 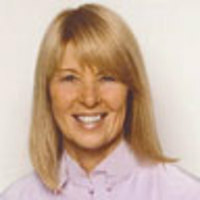 Caroline Graham is founder of C4 Global Communications and former West Coast editor for both Vanity Fair and The New Yorker. Prior to working with Conde Nast, she was a prominent newspaper columnist and director of the Monaco Government Tourist Office.